The Bobski came second in a special sledge test on hit TV programme The Gadget Show tonight, and was also named ‘best price’ sledge. The brilliant result will mean a very busy Christmas for Urban Surfer as the orders came pouring in as soon as the programme had ended. Elly and Keith Handy from Bobski’s. The sledges are put together in the Bobski’s workshop in Stone, with lots of UK companies playing their part in their construction. The workshop will certainly be a hive of activity now! 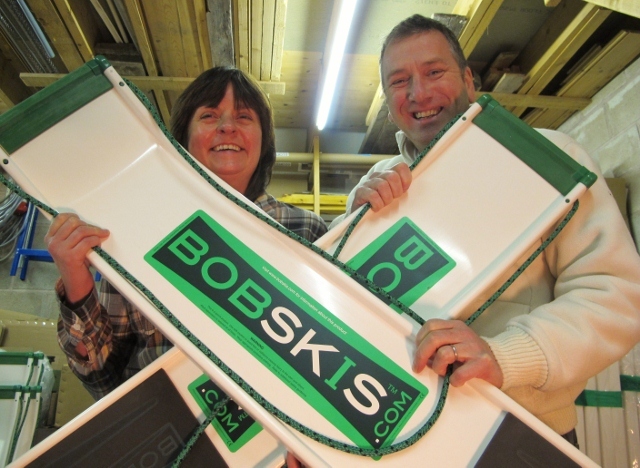 Urban Surfer have a great stock of Bobski’s and selling very well! Buy yours today at here.